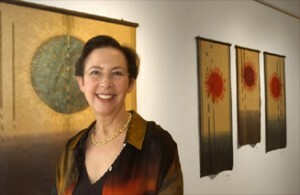 Black Sheep Handweaver’s Guild’s very own Barbara Shapiro will be joining us to share her current work. Her interesting and creative work in textiles is always an inspiration. Whether it’s her basketry, mantles, card weaving, scrolls or indigo landscapes the breadth of her work is amazing.